The season is finally here - summer, sun and garden parties. And the most wanted accessory of this season truly is - the hair clip! Available now are a couple of special edition hair barrettes. 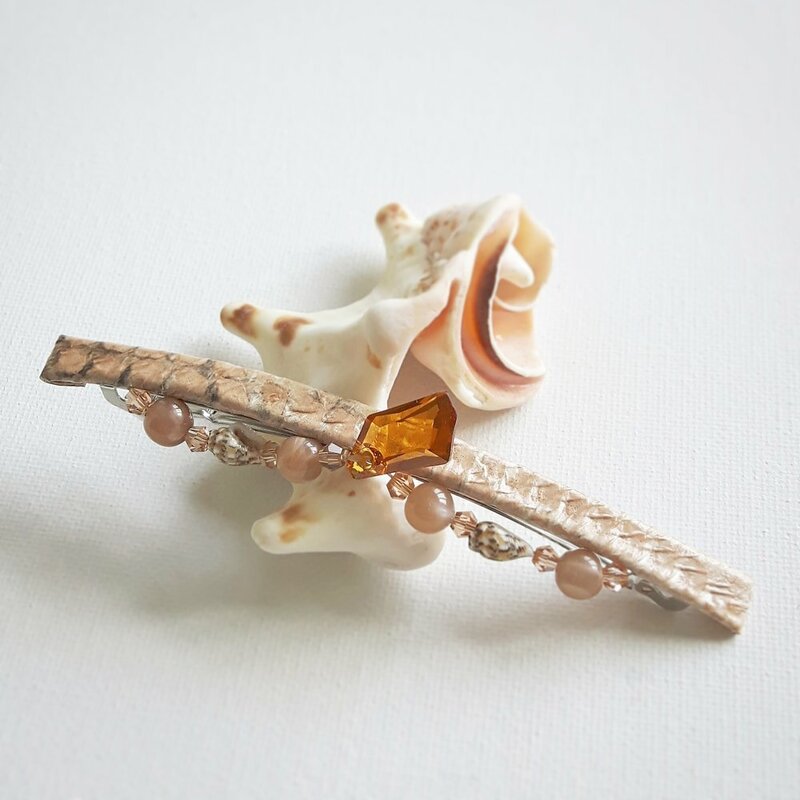 Organic salmon leather is combined with a delicate choice of Swarovski crystals, gemstones and mini sea shells. The perfect companion for your summer outfit. Handmade in Norway. Barrettes are made in France, size 10,5 x 0,7 cm. Send a request if interested or order your own custom - made barrette here.